This picture makes me so proud. 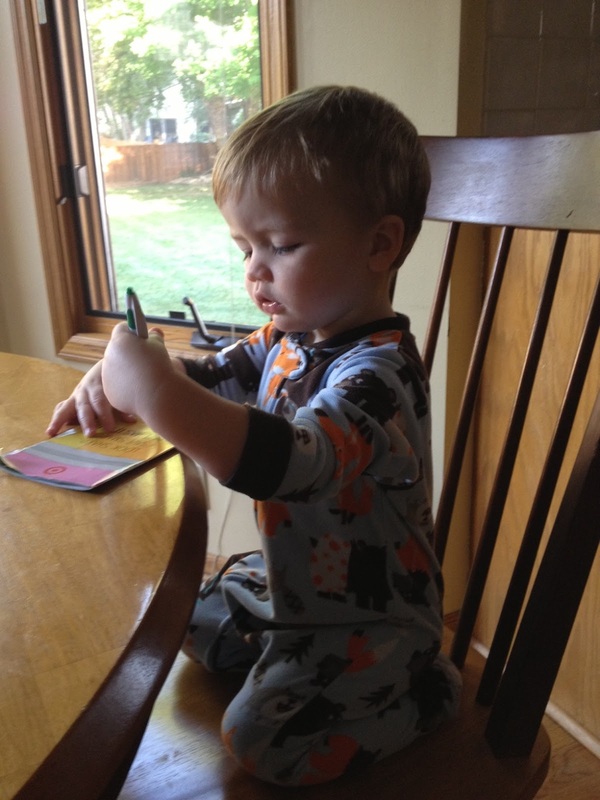 My son loves to read and to scribble. He picks up pens and immediately looks for paper. Maybe he’ll be a little like me after all. Maybe his blond hair will stay, too. For some time now, Steve and I have been watching Brandon, wondering if he was left-handed. He throws balls with either hand and eats with both, so it’s been hard to tell. But I think picture might be proof that he is indeed, left-handed. Odds are someone will be left-handed eventually. I'm still shocked all our girls appear to be right-handed. Jury is still out on Rachael, but she's leaning that way. Anyone on your side left-handed? My older brother is left-handed so he will be glad to have a family member on his side. he writes better than asher!